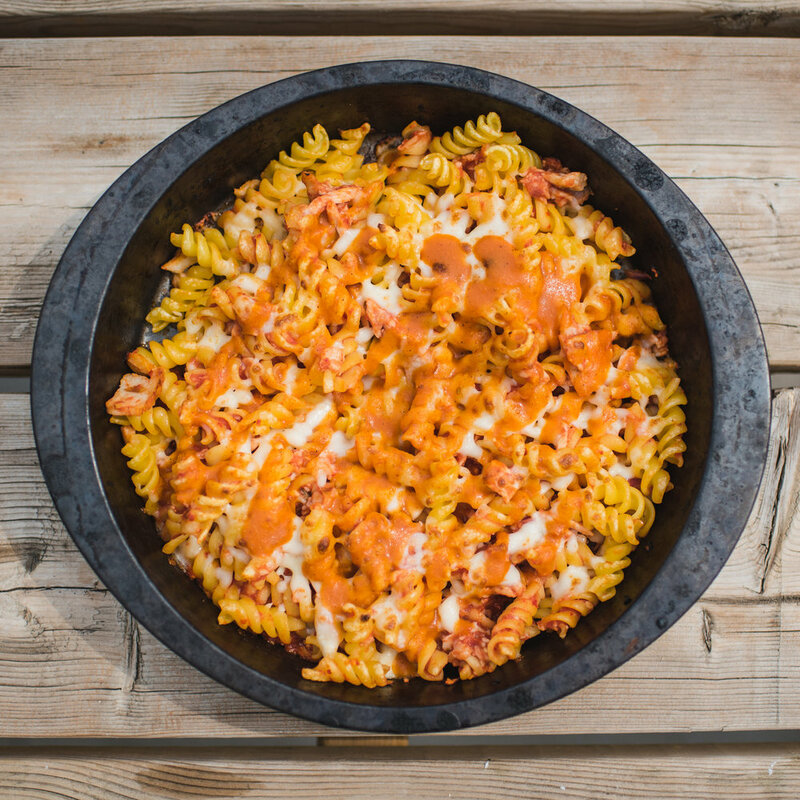 Quality, made to order pasta, paninis and stone-fired oven pizza from only the freshest ingredients. We believe that you can experience authentic Italian cuisine without travelling halfway around the world, and that you don't have to break the bank to do so. Abe and Kay have been crazy about pizza since they were wee little boys fighting over who gets the last slice. Since then, they've travelled and lived all over the world, sampling food from various cuisines, and have fallen deeply in love with the Italian taste. Not long after, they decided to recreate the recipes and share them with you, in a casual, fuss-free environment. Because, let’s be real, nothing is better than quality food with fresh ingredients, great company and none of the everyday stress. Select your base, our pizza and panini are homemade dough (made with 00 Italian flour imported from Naples), your sauce, your cheese and your toppings. 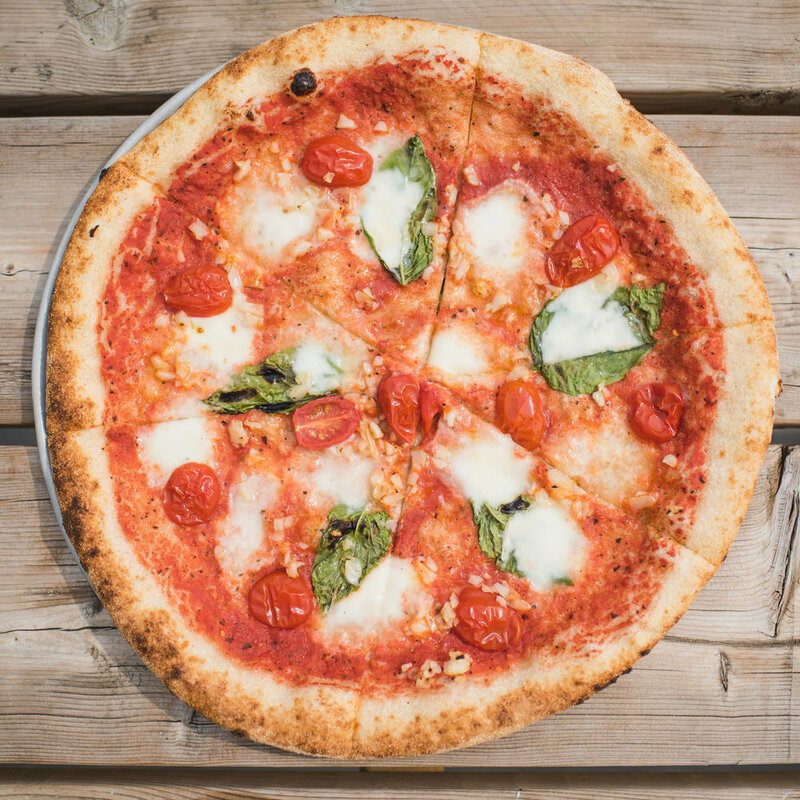 Once your pizza is assembled, we pop it into the stone-fired oven for two minutes. When it's ready, you can take it home or enjoy it right away (careful, it’s hot). Simple as that. Not feeling pizza? No worries. You can enjoy delicious pasta or paninis, curated after your own taste. We understand that everyone has different dietary needs, so we do our best to have an option available for everyone. Whether you're vegan, dairy or gluten-intolerant, or prefer halal meat, we carry substitutes for you in store - just let us know.